Hotel Franca is located at the South Porto-Vecchio exit, just 6 km from the Santa-Giulia beach, 12 km from the Palombaggia beach and 800 m from downtown and the port. With the town of Bonifacio just 25 km away, and mountains nearby (Zonza, Bavella), the area is rich with sites of interest and there are many excursions to be made. Each room has air conditioning and roller blind. 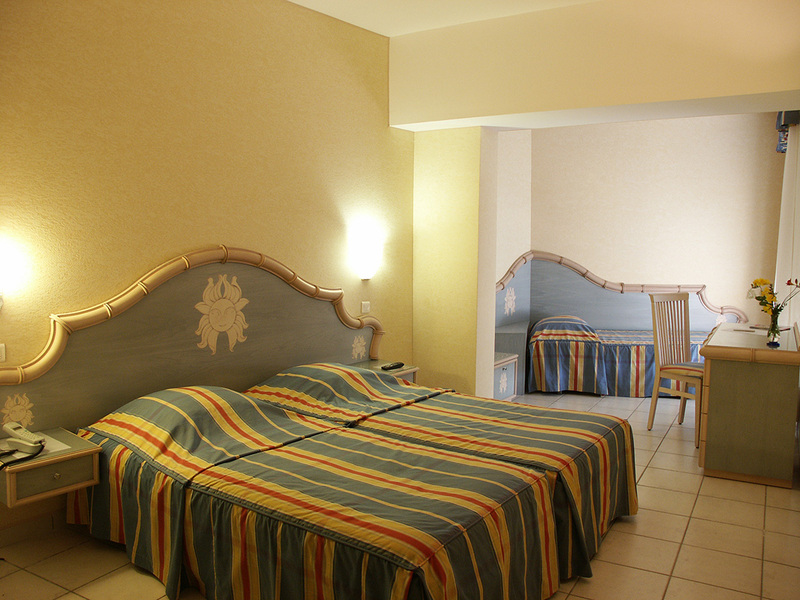 - "Azzurra Prestige" rooms have a multi-jet shower and king-size bed. 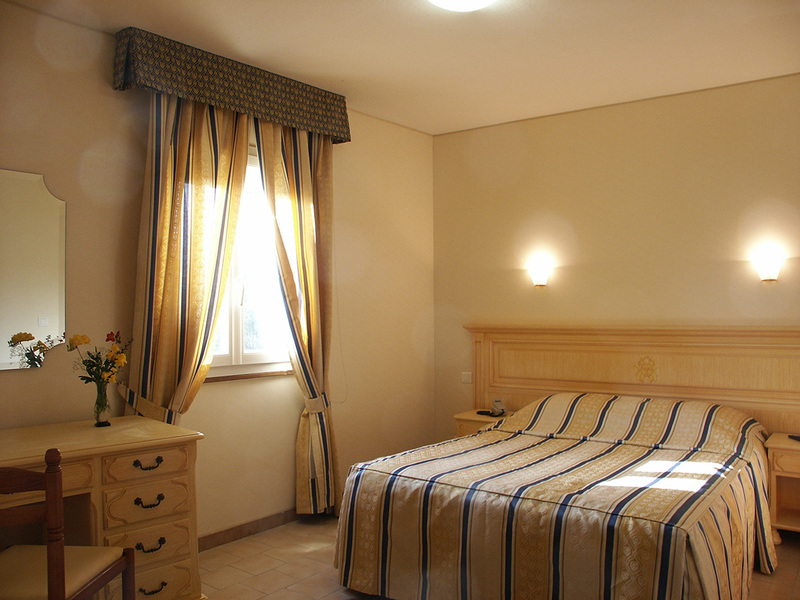 - The orangey-yellow decor of rooms in the "Sun Confort" range suggest the sunniness of our region. 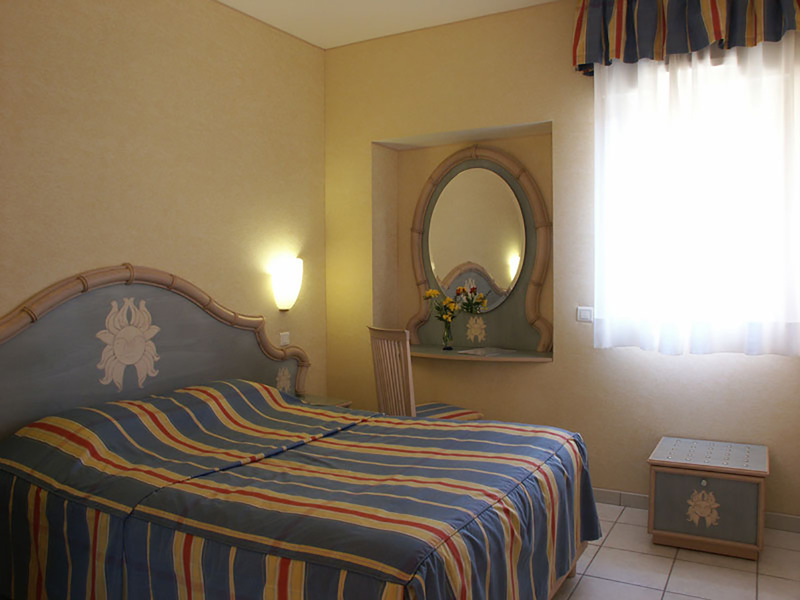 - The rooms in the "Azzurra Confort" range are decorated in calming shades of blue, inviting the guest to unwind and relax. Each room has shower, wash-basin, lavatory, hair-dryer. Each room has private safe. We are sorry but our animal friends are not allowed. Self-service unlimited access to Internet. A phone booth is also available. Car park is available behind the facility. Our customers may have breakfast with us if they so desire. Remote Payment by Credit Card Visa, Mastercard, Diners. According to municipal by-law per day and per person. All prices shown on this page are given for information only, please contact us for confirmation.